Dexterous and risk-taking Lucky Garnett (Fred more...0 Astaire) pursues dancing and gambling with equal verve. Engaged to the pretty Margaret Watson (Betty Furness), Lucky gets pre-wedding nerves, which leads to the ceremony being called off. Margaret's father decides that Lucky can have a second chance at marrying her if he can make $25,000, so he heads to New York City to seek his fortune. When Lucky meets the beautiful dance teacher Penny Carroll (Ginger Rogers), however, his priorities soon change. 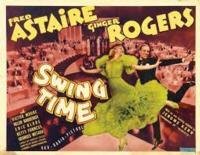 This is the sixth pairing of Astaire and Rogers and is considered the best dancing of all their films. Join us Tuesday January 2nd at 7pm for this film classic. Join us every first Tueday of the month in the Radio Room to watch a classic cinematic treasure! Tickets will be $5. Popcorn, candy, and drinks will all be available for a great movie experience. The Knit-a-thon is an inter-generational activity more...0 that provides a space for knitters/crocheters of all ages and skill levels to come together and create hats and other items for the newborn babies at St. Mary's hospital and cancer patients in the oncology department, as well as the homeless who receive services at Homeward Bound. 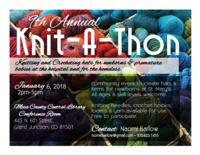 The event begins Saturday, January 6th at 2pm and will continue throughout the day until 5pm at the Mesa County Public Library Central Branch, 443 North 6th Street, Grand Junction, CO 81501, in the Community Room. This event is open to all ages, we provide the yarn and have looms for those not able to use needles and hooks, and we have some extra hooks and needles if you are without. 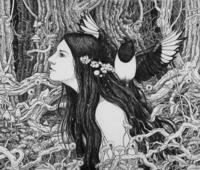 The Magpie bird is considered a shamanic bird, a more...0 link to the other worldly, primal realm of spirits, senses, and symbolism. This Magpie, the band, does something very similar. Their lyrical encoding speaks of grander ways hidden in simplicity which sedates us into a connectedness and assurance to the ear. Magpie is currently a duo consisting of songwriter Zach Dunn and multi-instrumentalist Matt Scibilia. They bring a rare depth and beauty with their high energy blend of folk rock. For just 2 creatures, they create an astonishingly full sound as Matt, part octopus, plays melodic bass lines on the keys with one hand, drums with the other appendages and sings harmonies all at the same time Zach peppers ripping lead harmonica lines over electric guitar and delivers lyrics with a certain grit and soul sure to bring on the warm fuzzy feelings. Local rock and roll with a plethora of HELL more...0 YEAHS!! $5 cover gets you a free drink! This will be the first Latin Fever night that we more...0 plan to do once a month! $5 admission includes a salsa lesson with Ron Black. 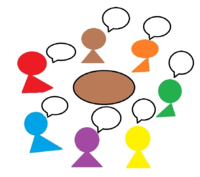 MUST RSVP to ATTEND Thank you for being a loyal more...0 fan of Rocky Mountain PBS. In appreciation for your support, we invite you to gather your family and friends, and join us as we unveil the new season of the acclaimed PBS MASTERPIECE drama, "Victoria." Please join us for a short reception and free preview screening of the Season 2 premiere. * Evening Program: 5:30pm – Reception 6:00pm – Preview Screening of "Victoria" Season 2 premiere* Beer, wine and snacks will be available for purchase. For more information, contact Alex Forsett at 970-245-1818 or AlexForsett@rmpbs.org .